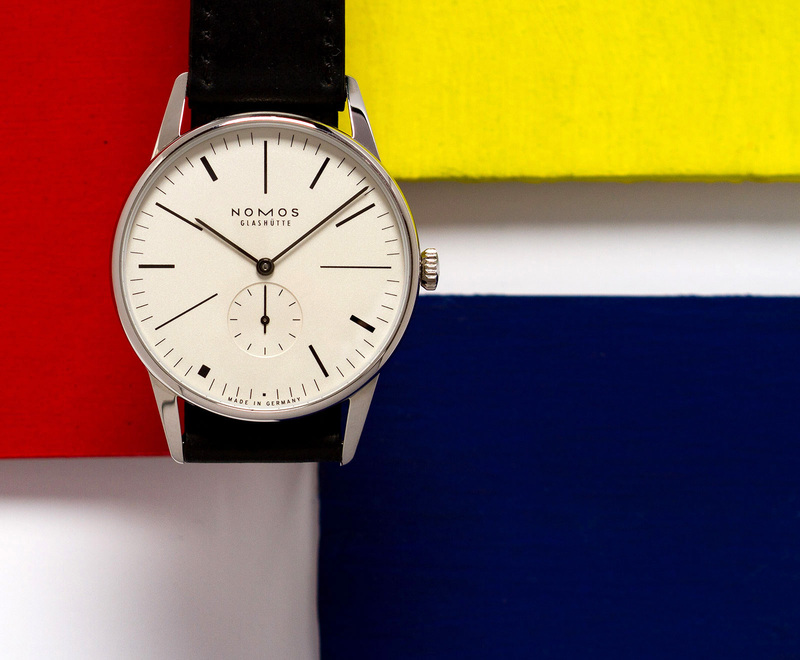 Nomos, who created its own unique lines with the minimalistic designed models in a short time and became one of the important names in the world of watches, introduced a limited edition of 100 units timepiece produced for the 100th year of the “De Stijl” art movement. 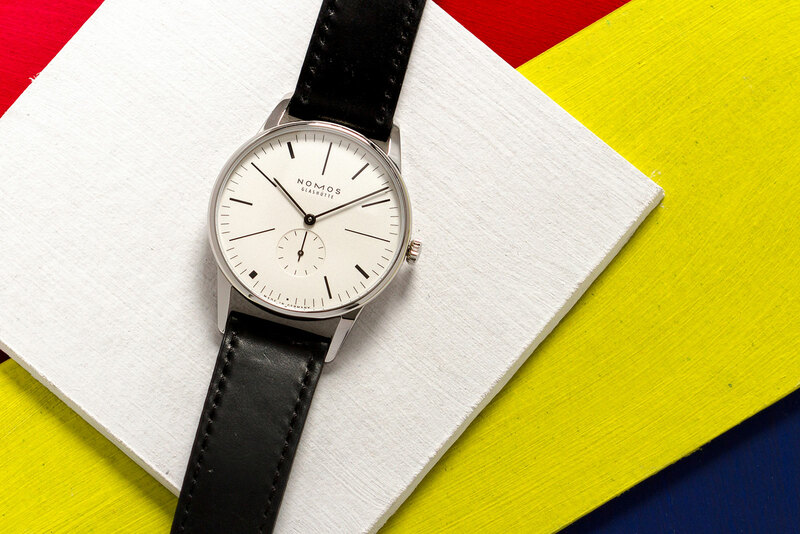 "De Stijl", one of the trends that are closely related to the Bauhaus movement, which is leading the design concept of Nomos, is gaining importance today with Dutch artist Piet Mondrian. The design, which is one of the artist's most important works, comes back to life in the Nomos Orion 38 model. Nomos Glashütte Orion 38 "De Stijl" emerges with the desire of the Dutch jewelry and watches house "Ace Jewelery" to produce a timepiece for the 100th anniversary of the "De Stijl" art movement. 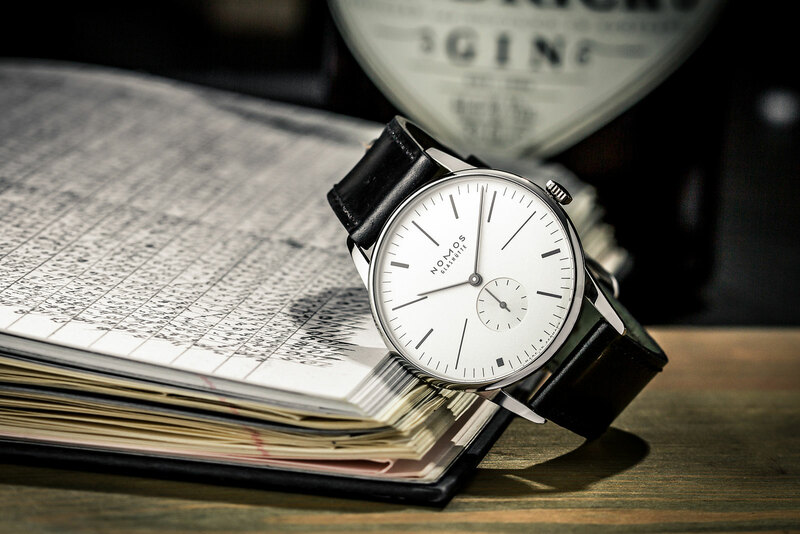 The new model comes is a Nomos Orion style case measuring 38mm in diameter. The stainless steel case sports scratch resistant sapphire crystals on each side. 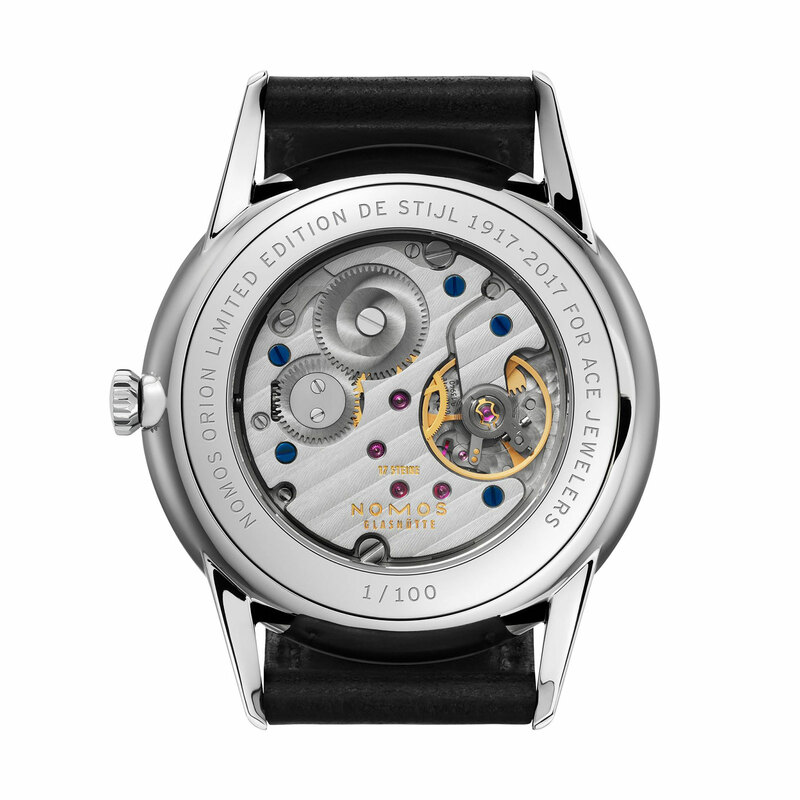 It is possible to see the traces of the "De Stijl" art movement in the dial of the model. All the indices in the dial are designed in different size and thickness. The indices are arranged by black print over white background and they are accompanied with a set of hands styled quite simple. Legibility is also very good thanks to the design using contrasting colors. Nomos Glashütte Orion 38 takes the "De Stijl" is powered by the brand’s in-house Caliber Alpha. 17 jewels hand-wound movement beats at 3Hz and offers 43 hours of power reserve when fully wound. Like the dial three colors are used in the movement as blue screws, red rubies and a gold tone balance wheel. The new model is offered on a black calf skin strap that we are familiar from the other models in the brand’s product line. 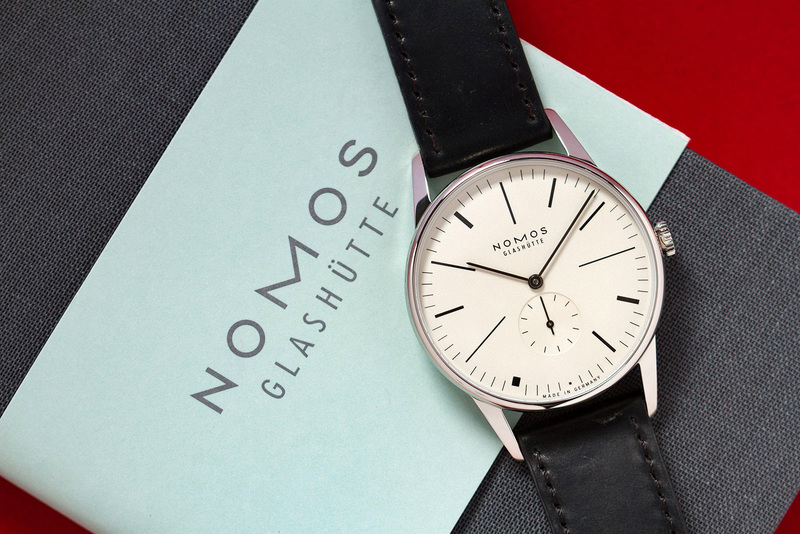 Let me remind that there are more strap alternatives available at Nomos sales points in different colors and various lengths offered with a very reasonable price tag. Nomos Glashütte Orion 38 "De Stijl" is limited to 100 units only and you have to pay a visit to the Ace Jewelry as the model will not be displayed at other Nomos sales points.